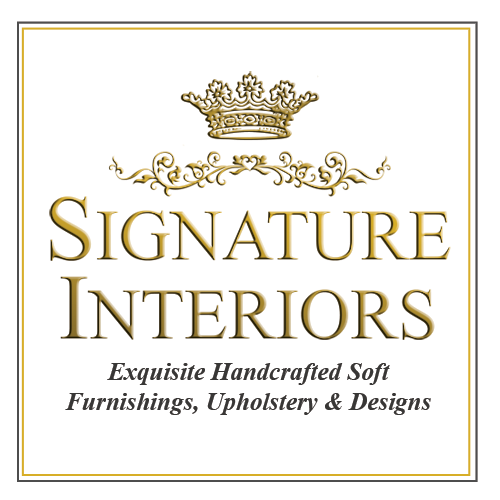 Unless otherwise stated, Signature Interiors owns the intellectual property rights in the website and material on the website. Subject to the licence below, all our intellectual property rights are reserved. you must not edit or otherwise modify any material on the website. all images on the website are copyright and may not be copied, reproduced or used in any format without the prior written consent of Signature Interiors. Our liability is limited and excluded to the maximum extent permitted under applicable law. We will not be liable for any direct, indirect or consequential loss or damage arising under these terms and conditions or in connection with our website, whether arising in tort, contract, or otherwise, including, without limitation, any loss of profit, contracts, business, goodwill, data, income, revenue or anticipated savings. You must not use our website for any purpose related to marketing without our express written consent. You must not use our website to copy, publish or send mass mailings or spam. You must not use our website to copy, publish or send material which is illegal or unlawful, or material which could give rise to legal action under English and other applicable law. All material you copy, publish or send via our website must not be defamatory, obscene, indecent, hateful, discriminatory or inflammatory; such material must not infringe any person's intellectual property rights or rights of confidence, impinge upon any person's privacy or constitute incitement to commit a crime; further, material must not be misleading, deceptive, sexually explicit, threatening, abusive, harassing or menacing.